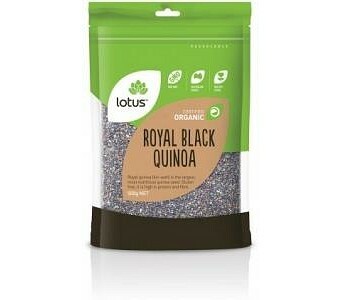 Lotus Organic Royal Black Quinoa is the largest most nutritious of the quinoa seeds. It is gluten free, and high in protein and fibre. Ingredients: Organic Black Quinoa Grain. No Preservatives or Additives. Cerfified Organic by ACO.